Have you paid excess tax and claimed tax refund while filing ITR? If yes, than please note that the process of tax refund would take around 5-6 months after filing of tax return. The tax refund would be made only if you have filed return with utmost care and have not made any apparent mistakes such as wrong Bank Account number or IFS code, incorrect PAN number etc. If ITR is filed correctly than tax refund would reflect in your bank account latest by ensuing January. You can also check status of your tax refund online via various methods. 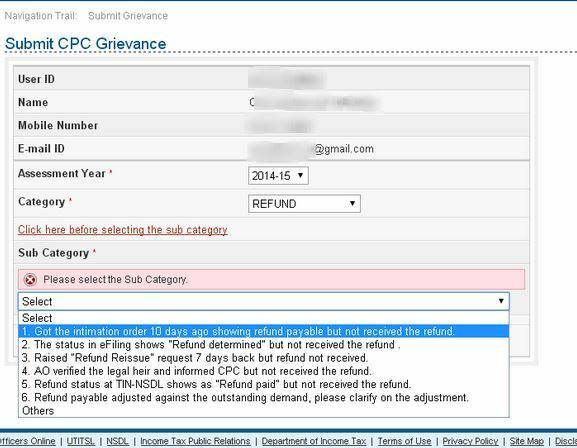 How to request for Reissue of Refund? Easiest and quickest way to check you income tax refund status online is via NSDL site. You just need to enter Permanent Account Number (PAN) and select the Assessment Year for which you are looking for refund. You can check refund status for past 10 years. Though this is the quickest way to check refund status but anyone can view the refund status of another person with having PAN number which jeopardizes the privacy of the assesse. Government should use OTP to be sent on mobile number which should be used to view the status. You would be required to fill the captcha code to see your refund status. You will have select the assessment year, category which should be REFUND and provide the details of Acknowledgement Number (ITR-V) and Refund Sequence Number which can be found in? the Intimation order u/s 143(1) sent by CPC. Before hitting on the submit button, you will also have to choose the reason under sub-category. This should be the last option for checking refund status as it would take weeks to get answer. You can check the status of your grievance through Helpdesk? ?> ?Grievance Status?. Another resort of help in knowing your tax refund status would be dropping mail to Aaykar Sampark Kendra at refunds@incometaxindia.gov.in. Since SBI is refund banker for tax department you can also enquire SBI via itro@sbi.co.in for refund status. Tax Department has also started a toll free helpline number particularly for income tax refund status related queries. The number is 1800-425-2229. SBI is the refund banker of tax department and in case you are not able to enquire about refund online than you can at SBI’s toll free number, 1-800-4259760, to check for the refund status. If you are not able to get through the above toll free numbers, the last resort of help would be contacting Aaykar Sampark Kendra at 0124-2438000. Alternatively, you could always visit your nearest tax office to get the information of your tax refund. The refund would be transfer directly into your bank account if you have provided correct bank account number and MICR/IFSC code of the bank branch while filing ITR. Tax refund takes 10 days to be credited into your account after refund is sent by the assessing officer to the refund banker, which is State Bank of India. Granting tax refund through Paper Cheque was standard procedure but it is less used by tax department due to various reasons. To get tax refund via cheque you need to provide the correct bank account number and mailing address for communication to receive the cheque. If you have not e-filed your tax return than be patient and wait for IT department to reconcile their paper work. Read: How to e-verify tax return through EVC? Your refund request is still under processed and IT department is taking time to process your request. Check your bank account to confirm the receipt for tax refund. You would receive notice if you have filed tax return asking for tax refund while department calculation shows nothing is payable. You will have to wait for 10 days as it takes 10 days for credit to be reflected into your bank account from the time refund order is sent by officer. There could be many reasons for unpaid refund i.e. changes in address, spelling mistake in name, incorrect IFSC/MICR code or bank account number etc. Do contact your jurisdictional assessing office or do request for reissue of refund as stated above. You would be served with notice if you had asked for refund but department calculation shows tax payable by you. You have to approach jurisdictional assessing officer as department needs additional documents to process your tax refund request. Read: How to file income tax return online in India? 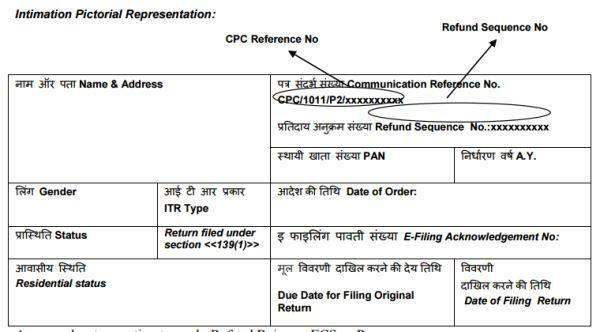 In case you have missed enchasing the cheque or cheque has not been received by you due to change in mailing address or whatever the reason for not getting the tax refund mentioned in the file (https://incometaxindiaefiling.gov.in/eFiling/Portal/StaticPDF/Resolution_FAQ-refund_final.pdf?0.88756287493743), you can request to reissue the refund to tax department. 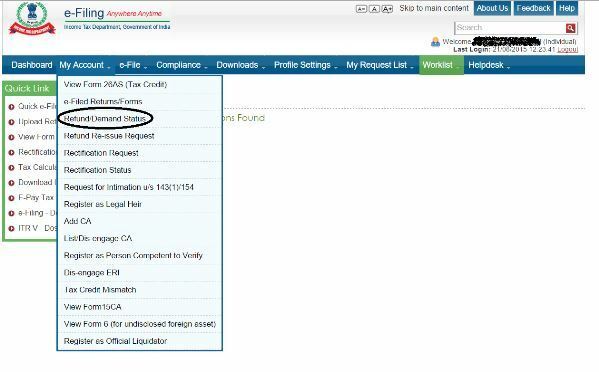 Logon on to www.incometaxindiaefiling.gov.in with your user ID (PAN) and Password. You have to then select the type of reissue i.e. paper cheque or ECS. You can update the bank account details or mailing address before clicking on the submit button. It?s really a nice and helpful piece of info. I?m happy that you shared this helpful information regrading income tax refund. Income Tax Return is a proof that you have paid your income tax. Thanks for this interesting blog! My name Mithun kayal , my nearest bank ubi ghoradal( mathurapur 24 pgs s ) bank manager is very bad he well not giving mudra loan. for all person!!! plg helf me PM Modi jee.